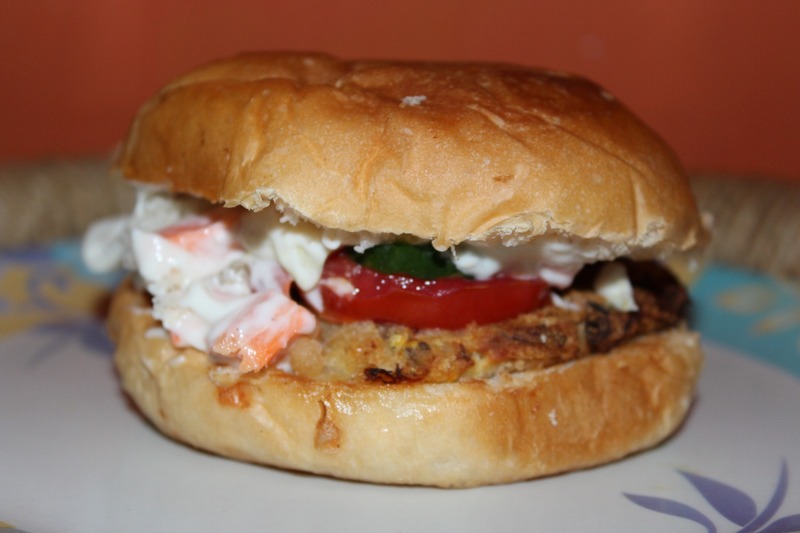 Prathu's Food: Veg burger - Passionate Cooking for Vegeterian Food. Heat 1 teaspoon oil, add gingergarlic paste, saute for a minute, add choppes onion ket it turn light brown, now add jeera owdr corianderpwdr, garammasala n saute for a minute. Add half cup of bread crumbs to this mixture. Using butter grill buns for few minutes in pan. Now keep dressing ready by mixing all ingredients of dressing part mayo, sugar, mustard pwdr, shredded cabbage, carrot.